The BrassCraft Heavy Duty Flaring Tool features extra-large wing nuts for greater torque and a long, solid steel handle that provides greater leverage to promote ease in flaring motion, making it the ideal choice. With multisize flaring capabilities and heavy duty steel construction, the BrassCraft Flaring Tool is one you can count on. Firm Grip PEX Multi-Head Crimp 3/8-1/2-3/4-1 inch. The Firm Grip Pex Crimping Kit from Toolway comes with 4 interchangeable jaws and a Go/No-Go Gauge in a durable plastic case to ensure you have the correct size for the job at hand. MASTERS PIPESLICE is a single handed plumbing tool that makes pipe cutting easy. It cuts clean through copper pipe, causing no damage. The blade is easily replaceable and can be bought separately. 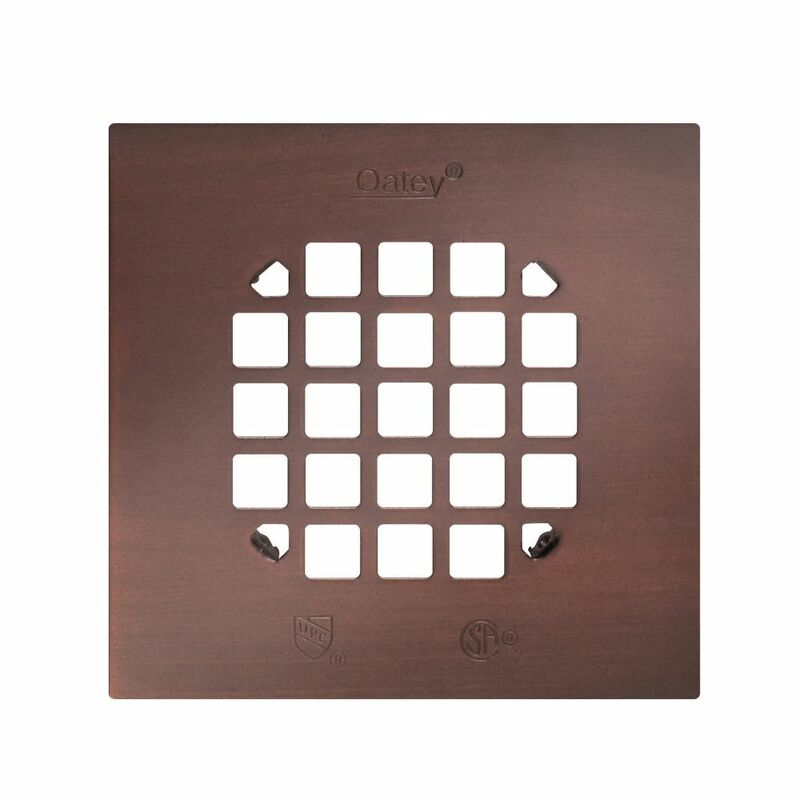 Strainer Square Orb is rated 4.4 out of 5 by 8. Rated 5 out of 5 by Scott from Perfect replacement fit for original Oatey strainer. Perfect replacement fit for original Oatey strainer. Rated 4 out of 5 by HomeDepotCustomer from It fit fine, I wish it would fit a litter... It fit fine, I wish it would fit a litter tighter. Rated 2 out of 5 by Josh from Did not fit for the oatey drain. We had to... Did not fit for the oatey drain. We had to bend them to work. Also, was 1/8 smaller than the oatey drain kit. Rated 5 out of 5 by Sal23 from The strainer was a perfect match for my shower fixtures!... The strainer was a perfect match for my shower fixtures!